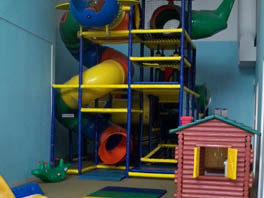 The Romp 'n' Stomp is a fun indoor play structure kids can climb up, slide down and have a great time exploring! The room includes other fun activities for kids and has plenty of room for parents or guardians to sit and watch. Kids must be 48 inches or shorter to play in the Romp 'n' Stomp. All users must check in at the Guest Service counter before entering the play area. 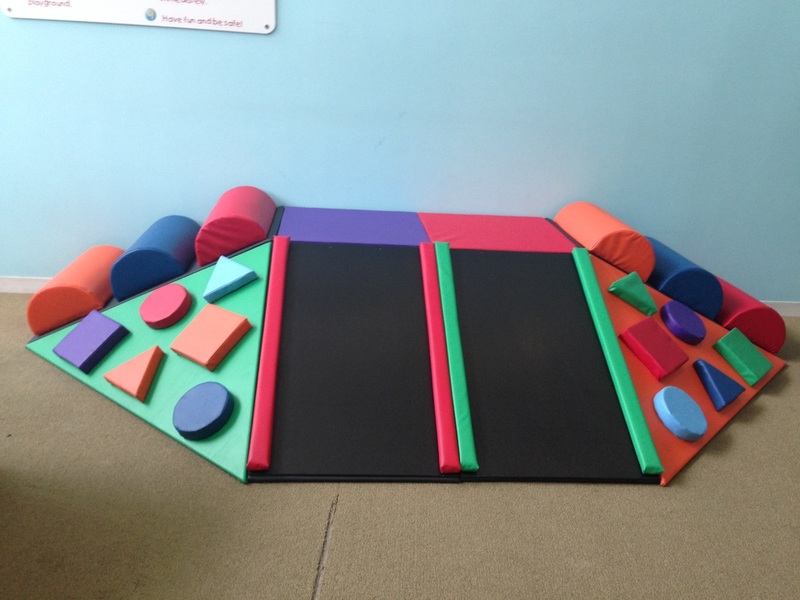 The Romp 'n' Stomp is for children 48 inches or shorter. There is a height marker just prior to entering the room. 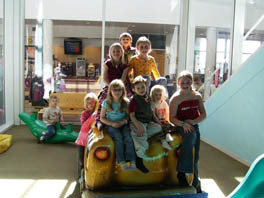 Direct adult supervision is required at all times for children playing in the indoor play area. This means the supervising adult must be in the Romp 'n' Stomp with the child. The community center does not staff or supervise this room. For sanitary reasons, socks must be worn at all times in the Romp 'n' Stomp. Bathing suits, wet or dry, cannot be worn in the Romp 'n' Stomp. Please do not change your baby on the floor in the room. There is a diaper changing station in all of the community center restrooms and locker rooms. Have your child use the restroom before entering the Romp 'n' Stomp. The Romp 'n' Stomp is included in MCC memberships . Patrons can also access the room with a daily pass.